iAdvance Now is based in New York and is an alternative finance company that assists small businesses with accessing required capital. This is done via selling a small percentage of future revenues or merchant cash advances to gain access to a lump sum of money right away. This is a remarkable method of getting the capital businesses need to grow and succeed. However, even with the adequate capital some businesses fail. Here are five common small business pitfalls iAdvance Now sees and how to avoid them. The planning phase can be quite tedious; however, you will be operating blindly without a concrete plan for your business; this includes assessing market potential and business idea research. Among the most important plans to think about are a business plan, a marketing plan, and a financial plan. To function, money is a must and a good share of it. Typically, startups have problems finding the resources needed to start; resorting to either attaining credit, finding funding, or pooling personal financial resources to attempt to make ends meet. Normally, more experienced companies are affected by insufficient capital when spending begins to outweigh the revenue. You should successfully monitor your capital situation by checking the cash flow. Your expenses should be closely monitored and you should not be afraid to make cuts if required. The earliest stages of business growth are the most susceptible to insufficient capital. Your competition should never be underestimated because if you are not careful, your business could be totally crushed by them. This is particularly true if you do not fully understand it. Sometimes, startups centered on a new idea get too sure of themselves, ignoring what is happening in the markets. While competition is not necessarily bad, you must be sure you differentiate yourself in such a way that your company will seem more appealing. You need at least one strategy to deal with competition. Sometimes, fear of failure and not being confident in our ability causes entrepreneurs to underprice their products and services. Taking this path is dangerous as it undercuts the unique value that you are bringing to the table. In addition, it opens the possibility of frustration and resentment. The recovery from undervaluing your product or service is a long, hard road. Therefore, the market should be thoroughly explored when starting your business to figure out the best entry point price for the goods or services you are selling. There are quite a few success-oriented characteristics that are required when starting a business. Included among these are dedication, drive, and a deep-rooted sense of commitment. Owners of small businesses must be at a place where they are willing and ready to make sacrifices, face challenges head-on, and put in the time required if they would like their businesses to grow and be successful. All human beings make mistakes; being aware of them and working consistently to make smart and well-informed business decisions is the key. If that can be done and you remain resilient whenever mistakes are made, you will find success within your reach. 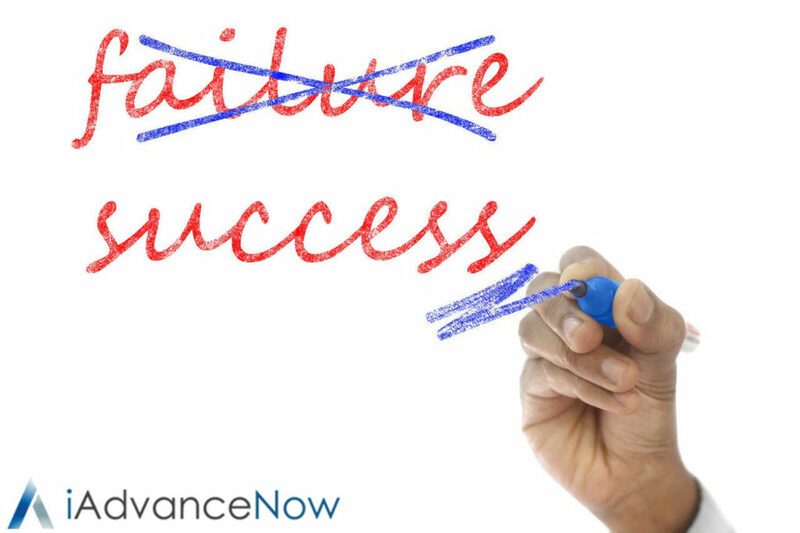 For additional details on getting started with iAdvance Now, feel free to log on to their website at http://www.iadvancenow.com/. In addition, you can follow them on their social media platforms at https://www.facebook.com/iAdvanceNow/, https://twitter.com/iadvancenow, and https://www.linkedin.com/company/iadvance-now/.